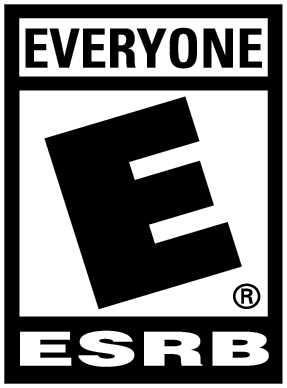 Video games are packed with various features to compare and argue about that largely surpasses any other form of entertainment. The sounds, visuals, gameplay, and story, amongst other things, are all up for discussion. It’s pretty self-explanatory that, over the years, visuals and sound effects have become more “realistic” in video games (whether story-telling has improved is a whole different topic). But what happens when we have a modern game that mirrors features present in an old-school Game Boy? Well, things can go in either polar opposite direction. 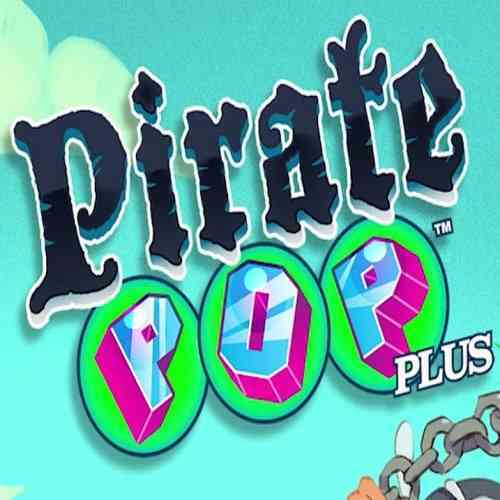 The story for Pirate Pop Plus is merely to give you a sort-of “beginning” to the game. It’s nothing complex, there’s nothing to pick apart, and it’s simply there for your enjoyment. You start off as Pete Jr., a man with an infinite amount of anchors who sets out to save local villagers from the Bubble Pirate by popping the various floating bubbles. To its core, this is basically a game that would fit right into the Nintendo Game Boy line-up. 8-bit art, chiptune music, and the ability to customize your virtual handheld device feels like you’re emulating it right on your New 3DS. Gameplay is as simple as its story – move Pete Jr. to avoid the bubbles while simultaneously launching your anchors to get rid of them. There are some neat features that make gameplay challenging and quite addicting at times. For example, gravity can shift so Pete Jr. can end up on any of the four sides of the screen at any given moment. He can also obtain power-ups. If you’re up to having a more challenging session, you can try out Hyper Mode that manipulates the game to be faster and more difficult, but also grants you additional coins. Overall, gameplay is solid but doesn’t offer anything more or less than what is first given to you. It’s fairly addictive with simple gameplay, but won’t offer very much past this. 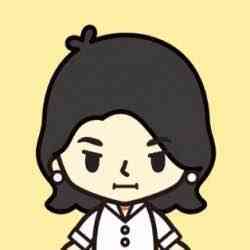 It’s great for the first few minutes, then can slowly get tiresome until you start to lose focus. 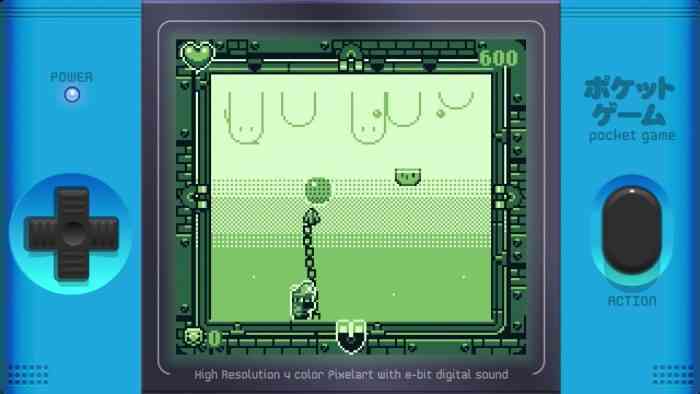 However, if you are in the mood for it, it will satisfy your cravings for a Game Boy-like environment. Aside from actual gameplay, Pirate Pop Plus has a large section just for customizing your virtual handheld device. It’s not for free though as you’ll need to obtain coins by playing the game. Decorate your device with stickers, change the colour of its button, change the faceplate of the entire system, or even manipulate the backlight. You can also unlock additional characters to play as so you’re not stuck with Pete Jr. It’s a great feature and making the virtual handheld device your very own creation is a nice touch. As mentioned earlier, the visuals and sound are presented in a way that mirrors that of the classic Game Boy with 8-bit art and chiptune music. It is an extremely crisp and solid looking 8-bit game with some awesome music that truly gets you in the mood for retro fun. Simple arcade-style gameplay that you can easily pick up and play makes it so you don’t need to worry about needing to spend a lot of time on Pirate Pop Plus. However, if a Game Boy-like environment isn’t your type of thing, you’re not going to get anything more out of this game. 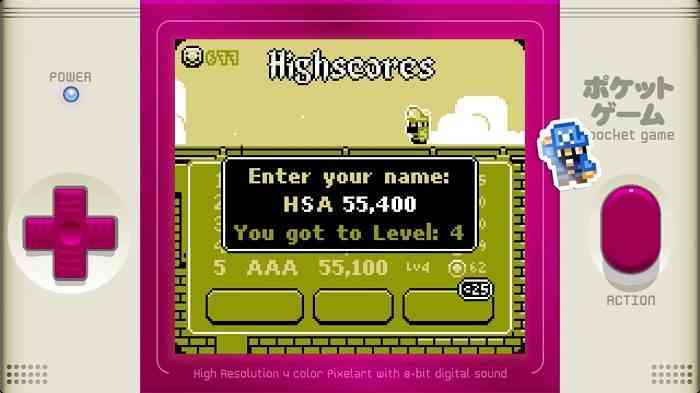 Nonetheless, for all you retro lovers out there, this may just be the perfect escape for you right on your New 3DS.